All these reasons are all too true. 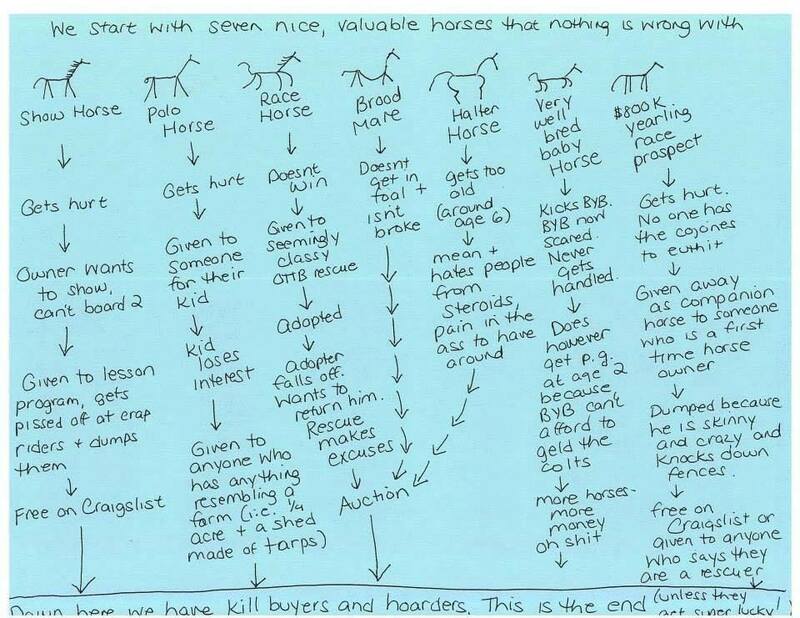 Image from New England Equine Rescues. So true, so sad. My Zeus was one of the lucky ones. A former reining horse, lame in hocks and navicular up front, and I guess too costly to retire, he was run through 2 auctions before I rescued him on his way back to New Holland. He’s a good soul and a great trail horse now. They don’t deserve that end. I fostered a horse for CANTER NE who had a long, successful career. Through no fault of his own (and most likely his trainer was duped, too) he ended up at the New Holland auctions. Still sound after 90-some starts. Reblogged this on Horse Worthy. Thank you! It’s so important to spread the word. I think lots of people assume that “good” horses never fall through the cracks.